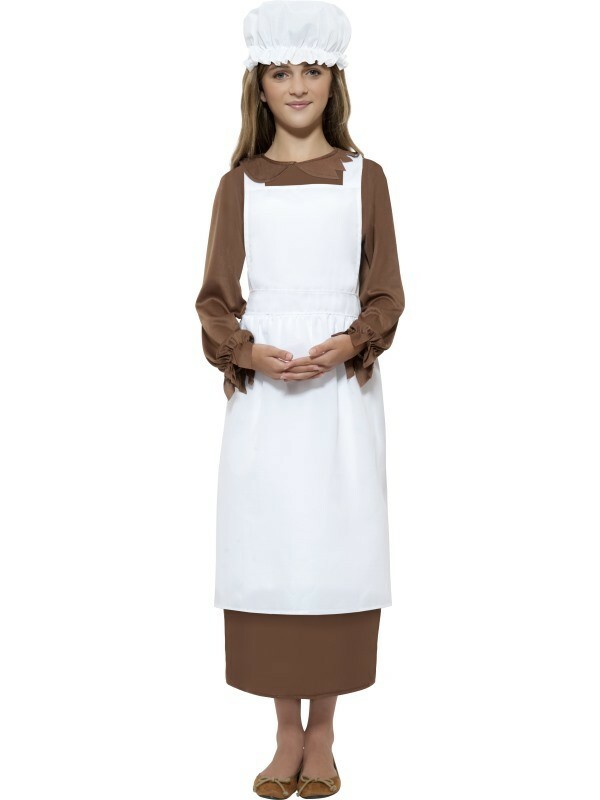 Step back to the 1800's with our Smiffy's Victorian Kit with White Apron and Mop Cap is ideal for those school themed events whether they be a Victorian or Book Week. The Apron ties at the back and the Mob cap sits on your head with elastic around the brim of the cap. Please note: the illustrated brown dress is NOT included. 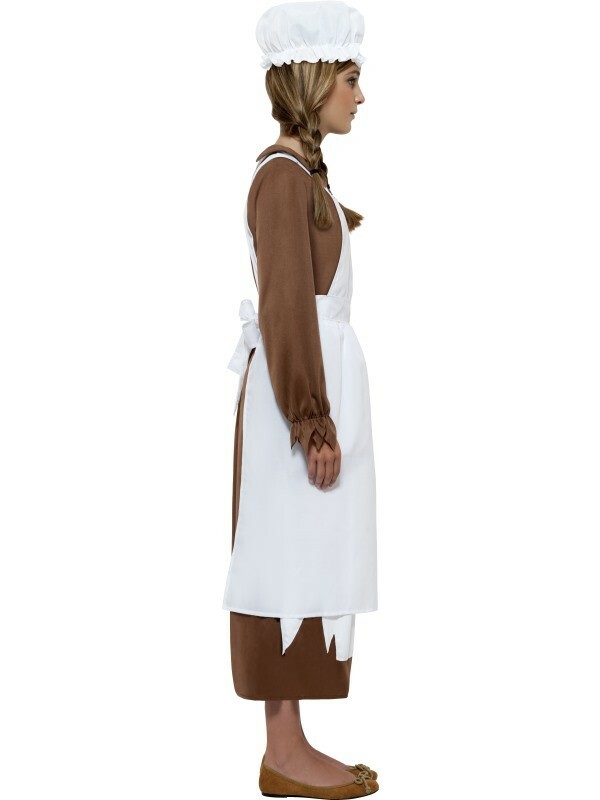 The kit is a great alternative for those girls who prefer not to wear a full costume. Will fit girls 7 to 12 years of age, Please note: Brown Dress isn't included.